Posted in: 2D, CG Releases, Downloads, Learning, Torrent, Tutorials, Videos. Tagged: adobe illustrator, Pluralsight. Learn how to begin creating beautiful, scalable artwork in Illustrator by harnessing the power of your Wacom tablet. Have you ever wondered how artists create amazing print illustrations that you see on billboards or t-shirts? Chances are they used a drawing tablet and a vector application, such as Adobe Illustrator. 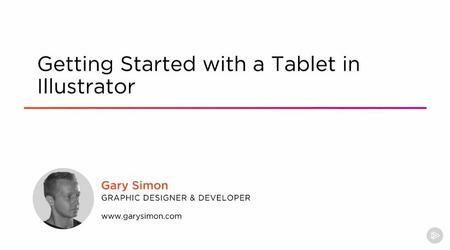 In this course, Getting Started with a Tablet in Illustrator, those two tools are exactly the focus. First, you will learn how to set up and configure your tablet to be used in Illustrator. Next, you will learn how to use various tools specifically with your tablet, including the brush tool, blob brush tool, and eraser. You will then learn how to create your own custom brushes while following along with two projects where you create a custom t-shirt illustration. At the end of this course, you’ll have learned how to harness the huge potential that your Wacom drawing tablet has to offer, while using the immensely powerful vector graphics application, Adobe Illustrator. Software required: Adobe Illustrator CC.